Sika Cleaner Activator 205 is an alcoholic solution. Contains a bond activating substance for cleaning & activating Surfaces prior to bonding and sealing with Sikaflex products. 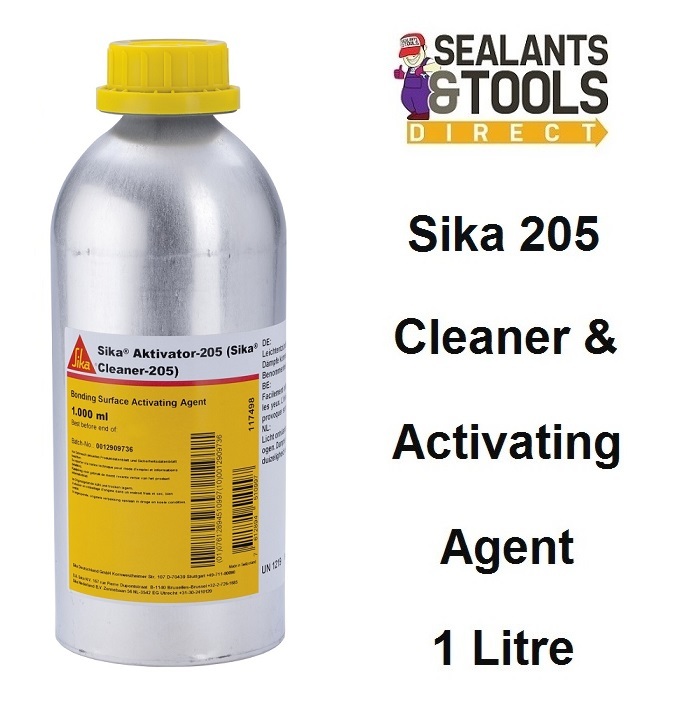 Sika Cleaner Activator 205 is used to clean & activate. Wipe faces with a clean lint free cloth or absorbent paper towel moistened with Sika Cleaner Activator 205. Prolonged exposure to atmospheric moisture will cause Sika ® Cleaner-205 to become cloudy and therefore inactive. Discard any product in this condition. Varie between 10 minutes and a maximum of 2 hours.